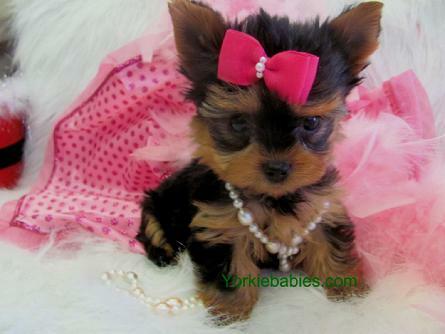 YORKIEBABIES.COM ELEGANT TEACUP YORKIES AND TEACUP PUPPIES. SOME OF THE MOST BEAUTIFUL IN THE WORLD! 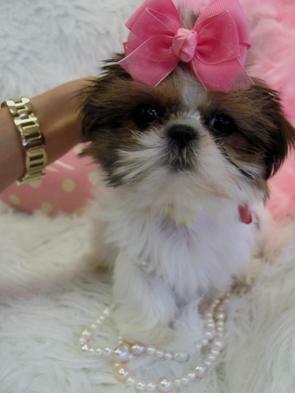 "CHLOE" $2500 TINY, SUPER GORGEOUS TINY STRAWBERRY GOLD AND WHITE FEMALE IMPERIAL SHIH TZU. DADDY IS ONLY 4.5 LBS, TINY. SHE IS EXCEPTIONALLY BEAUTIFUL. PERFECT MARKINGS, BEAUTIFUL BABYDOLL FACE, SHORT AND COMPACT BODY WITH THE MOST MAGNIFICENT COAT. WONDERFUL LOVABLE SWEET PERSONALITY TOO. ALREADY PAPER TRAINED. WHAT A DOLL!! 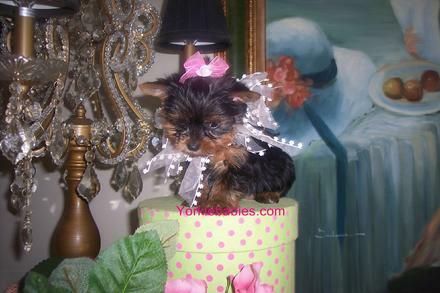 TEACUP YORKIE AT YORKIEBABIES.COM NEW LITTERS OF TINY TEACUP YORKIE PUPPIES SEE OUR YORKIE PUPPIES PAGE! 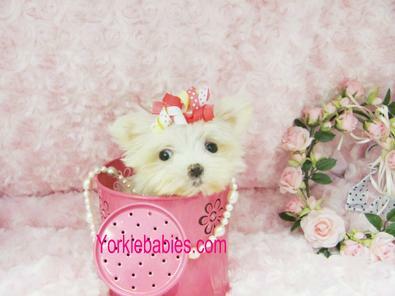 Hi and Welcome to YorkieBabies.com Home of some of the most Beautiful and Elegant Yorkie & Maltese Puppies anywhere in the World! 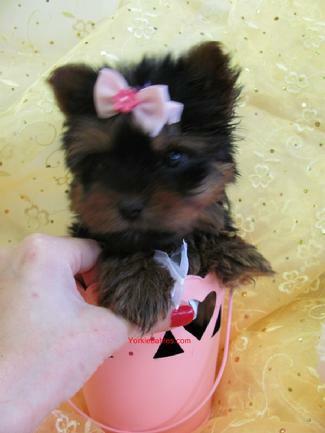 Precious Tiny Teacup Yorkies and small Toy Yorkies Too. 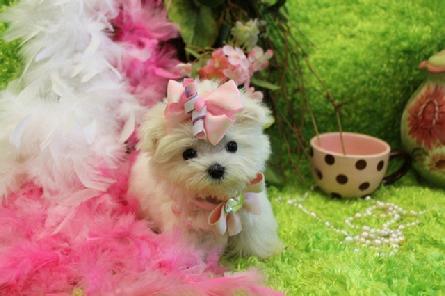 Teacup Maltese and Toy Maltese Also. We Love Them All and know you will too! We Ship. We Accept Credit Cards. 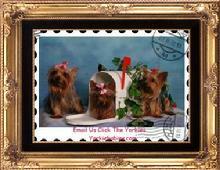 We are a family breeders network of Exquisite Yorkshire Terrier Puppies. 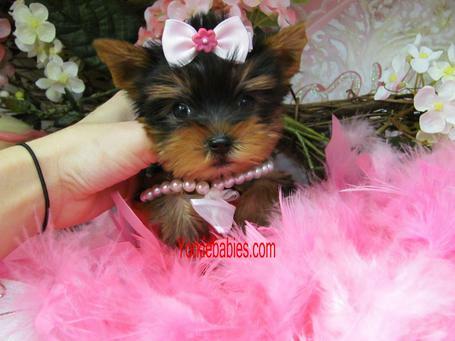 We also network with other reputable, quality breeders who are dedicated to providing quality puppies. 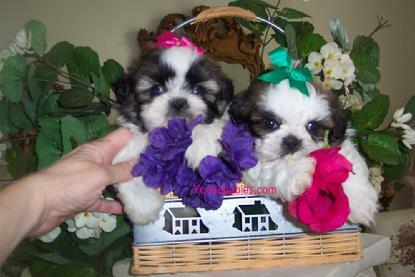 Beautiful Maltese and Shih Tzu Puppies Too! 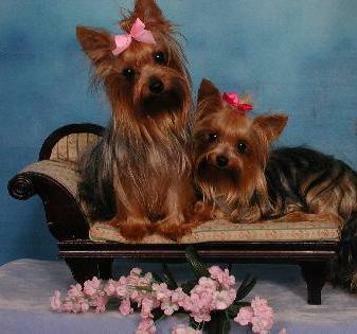 The Yorkshire Terrier is a Toy Breed Dog. 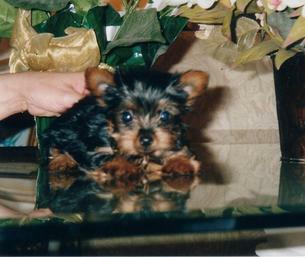 The Yorkie Standard is 7 lbs. and under. 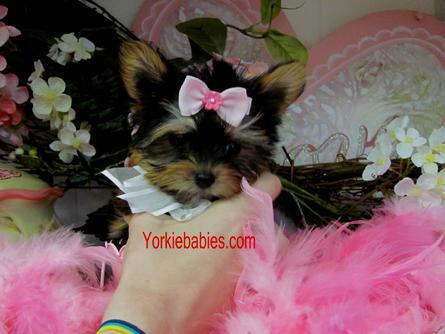 Each Yorkie puppy is unique therefore size cannot be guaranteed. 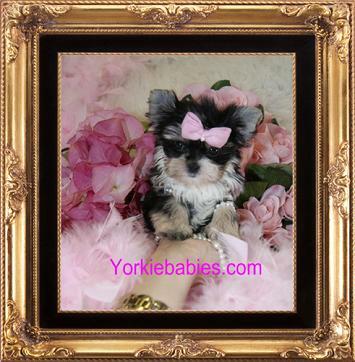 All Yorkie, Maltese and Shih Tzu puppies come with a one year written health guarantee on life threatening genetic disorders. We even begin PAPER TRAINING before leaving us. We reside in sunny South Florida. We SHIP. SHIP via Delta or Continental Pet Priority. Shipping is now $300 flat fee which covers the flight, insurance, airline approved travel crate, yours to keep, and an Interstate Health Certificate the Airlines require. 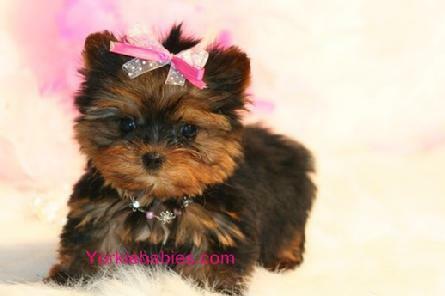 All Yorkie, Maltese and Shih Tzu puppies come with a Vet Certified Health Certificate but this is an additional one for flying them out. 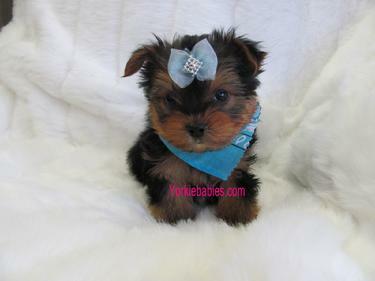 Smaller Yorkie and Maltese Puppies Cannot be shipped until 10 to 12 weeks of age at minimum!! WE NOW OFFER DOOR TO DOOR DELIVERY SERVICE, ASK ABOUT PRICING PLEASE FOR YOUR AREA. 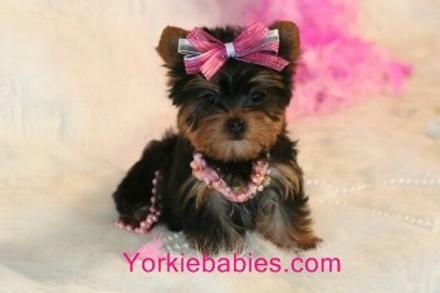 All Yorkie, Maltese and Shih Tzu puppies come on a spay/neuter contract as companion pets only unless otherwise prearranged. 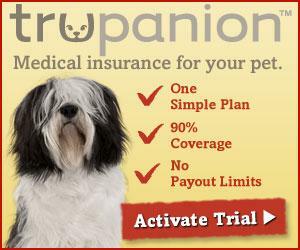 Deposits hold the puppy of your choice. Deposits are Non Refundable and are 50% ot the total. 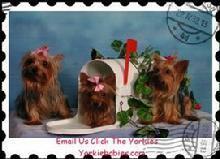 Be sure you want the Yorkie or Maltese puppy you are ordering! Health Guarantees and Contracts and or Deposit and Receipt forms will be emailed or faxed to you prior to you making payment. This is for your protection and ours. Prices are subject to change without notice. 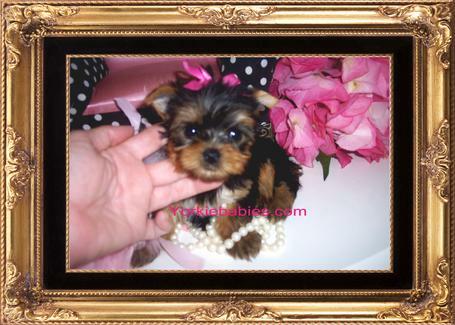 If you see a sale price on one of our Yorkiebabies.com puppies grab it. 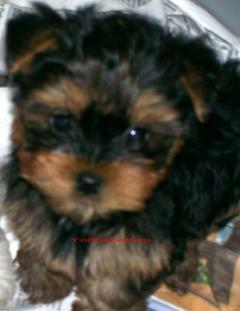 Prices can go up or down depending on the puppys' size and quality. WE ACCEPT VISA AND MASTERCARD FOR YOUR CONVENIENCE. There is a small service fee for using credit cards. 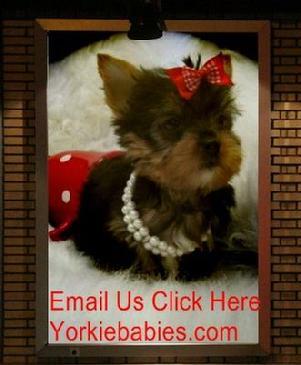 FEEL FREE TO CALL US ABOUT ANY YORKIE, MALTESE OR SHIH TZU PUPPY YOU SEE ON OUR WEBSITE AND WE HOPE YOU ENJOY VISITING WITH US. CALL ONLY BETWEEN 9:00AM AND 9:00 PM EST. PLEASE NO CALLS AFTER 9:00 PM!! WE GET UP VERY EARLY MORNINGS!